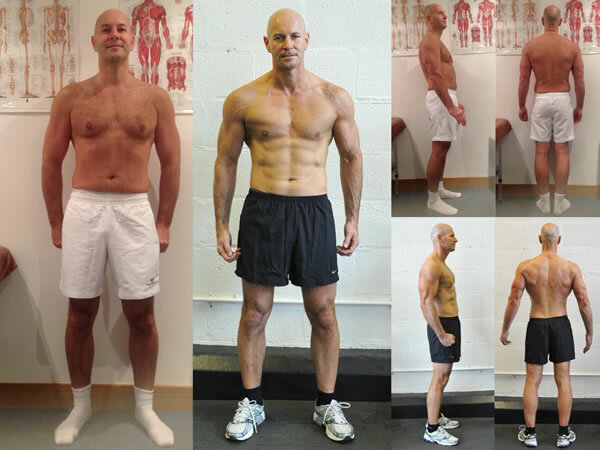 46 year old Andy Sharp has dropped from 18.8% body fat to 10.3%, losing 8 kilos of fat and sculpting over 2 kilos of muscle. Andy has been an absolute pleasure to work with, not only for his dedication in and out of the gym, but also for having one of the most positive ‘can do’ attitudes we have ever come across. Andy has come a long way from his first consultation when he was shocked to hear he was going to have to swap his staple morning breakfast of cheerios for fish! Irrespective of age, Andy has crafted a physique enviable of gym go-ers of all ages groups, as well as smashing chin up records in the gym, even above the twenty-somethings! 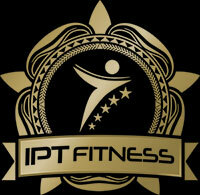 Well done Andy, IPT are very proud of what you have achieved and look forward to you inspiring more in their forties to take up weight training! “Having worked out over the years I considered myself to be in ‘ok’ shape. I was shocked to see a holiday photo last year. Bad light, bad day, bad angle or just bad perception of being in ‘ok’ shape. I hit the gym once again and joined a couple of classes. I got talking to Aimee and decided it was time to put some proper structure behind not only my workout but my diet too. I didn’t want a programme to compromise my social life and occasional heavy binges. Aimee understood this and designed workouts over the last 6 months that were always interesting and challenging. Aimee pushed me harder than I would have ever have done under my own steam and ensured that I was doing the exercises properly . My secret goal probably similar to other guys who go to the gym was to get a ‘six pack’. At the age of 46 I thought that this would never happen.